Pacoima, Los Angeles California Car Accidents Lawyers with Over 40 Years of Experience and Success Rate of More Than 95%! Pacoima, Los Angeles California car accidents cause serious injuries, substantial property damage, and at times even wrongful death. Our Pacoima wrongful death, car accident personal injury claims lawyers have a 95% success rate in winning personal injury cases all across California. When tragedy strikes, it is good to have an experienced winning team of personal injury attorneys on your side. Very simply, it is our purpose to help you with medical care, resolve your car damage claim, obtain the best result for you and overall delight you with our excellent personal service. We offer FREE consultations and we work on a contingency fee on injury accident claims in Pacoima and Los Angeles – which simply means there is NO fee to us until you WIN! You may contact us 24/7! With more than 40 years of experience in handling man thousands of car accident and other accident injury claims throughout Los Angeles and California, including Pacoima, we are a group of accident claim lawyers offering legal services on a contingency fee basis for injury accident cases in Pacoima and other places in and around California. Our skilled car accident injury lawyers know how to handle car accident cases, from getting damaged cars towed and repaired, to immediate medical care without any payment due until you win the case. You can go through our testimonial section to get an idea about what other clients have said about us. There are many time rules (including the California statute of limitations) and procedural rules (e.g., in car insurance policies, the California DMV, etc.) so please do not wait and risk your settlement by making a mistake or blowing a time deadline. Feel free to Contact us at 818-222-3400 or 1.866 INJURY 2 (after hours just dial “1”) for your FREE & CONFIDENTIAL consultation and case evaluation. Medical Care: Personal injury car accidents in Pacoima, Los Angeles CA often leave victims dealing with serious injuries that require medical care, physical therapy and chiropractic ajustments. Our Pacoima lawyers help clients obtain needed medical care, including doctors, neurologists, physical therapists, and several other specialists such as plastic surgeons, orthopedics, dentists and others as appropriate, usually without expecting any payment until the case is resolved. In addition to this, clients can seek help for medication and X-Rays, this too usually with no payment due until your case is settled. Vehicle Repairs: Pacoima car accidents can cause huge damages to cars, motorcycles and trucks. Our Pacoima car accident lawyers and law offices help you with your vehicle repairs or total loss settlement, towing, storage and, if required, free car rental. Transportation to the Doctor: The accident lawyers and experienced legal staff at our Pacoima personal injury and wrongful death law offices assist clients in finding doctors, arranging appointments and, whenever required, arrange transportation for injured clients to and from the hospital and medical clinics. Cash Advances/Emergency Loans: Pacoima, Los Angeles California car accidents can weaken your finances especially with astonishing medical bills and added expenses to take care of at a time when you may suffer a loss of earnings. Our experienced car accident lawyers and law offices will help you when needed in receiving loans and advances to cover all the additional expenses. How to Contact a Pacoima Car Accident Injury Lawyer? If you or anyone you care about has been involved in a Pacoima, Los Angeles California car, truck or motorcycle accident or any motor vehicle accident or collision, then you can contact us right away for a FREE & CONFIDENTIAL accident personal injury evaluation. 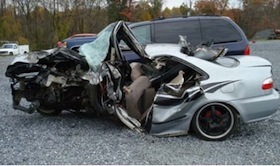 To tell us more about your car accident injury just click here. To know more about our expert and proficient lawyers you can take a tour through our lawyer profiles. Furthermore, visit our Car Injury Accident WebSite to learn about the procedures, formalities and the various rules that are associated with Pacoima, CA personal injury and wrongful death claims. Additionally, to have more specific help about your own particular car accident injury case please just call us at 818-222-3400 or 1.866 INJURY 2 (after hours just dial “1”) for FREE & CONFIDENTIAL consultation on your car accident injury case. Remember, our car accident injury lawyers offer FREE legal consultations and evaluations on Pacoima car accident claims and take our clients’ injury accident cases on a contingency basis, which simply means there is NO fee until your case has been resolved! Pacoima is one of the oldest neighborhoods in the northern San Fernando Valley region of Los Angeles. It covers an area of 7.14 square miles and has a population of over 81,000 people with a density of approximately 10,510 people per square mile. 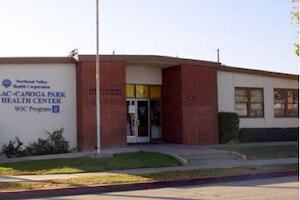 The vast majority of the population of Pacoima is Hispanic. Pacoima is bordered by the Los Angeles districts of Mission Hills on the west, Arleta on the South, Sun Valley on the southeast, Lake View Terrace on the Northeast and by the city of San Fernando on the North. 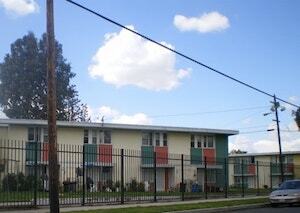 It was in 1994 that almost one third of Pacoima’s residents lived in Public housing complexes. There were many families who were on the waiting list to enter public housing complexes living in garages and converted tool sheds which often lacked electricity, heat and running water. The closing of factories in the area around Pacoima in the early 1990s caused residents to lose jobs, reducing the economic base of the city. By 1994, Pacoima was the poorest area in the San Fernando Valley. One in three Pacoima residents lived in public housing. There are a few boarded up storefronts along Pacoima’s main commercial strip along Van Nuys Boulevard. In the education sector, the city has various schools and universities. Some of the more famous ones are San Fernando High School, Charles Maclay Middle School, Pacoima Charter Elementary School, Guardian Angel Elementary School and others. Pacoima is and has been home to many famous persons over the past years including Judy Baca, Danny Trejo, Levi Ponce, Bobby Chacon and others. More than 40 years legal experience, including membership with California State Bar. Having obained monetary settlements of over $100,000,000.00. For a trouble-free and confidential FREE consultation, fill-in the details in our contact us form and let us know about your Pacoima, CA car accident or any other injury claim. We offer an absolutely FREE & CONFIDENTIAL consultation AND there is NO fee unless & until you win. We work on a contingency fee for our services on accident cases, which means there is NO FEE unless and until You WIN, so you do not need worry about money! Please do not wait. The sooner you call and start doing things the right and best way the better for YOU!